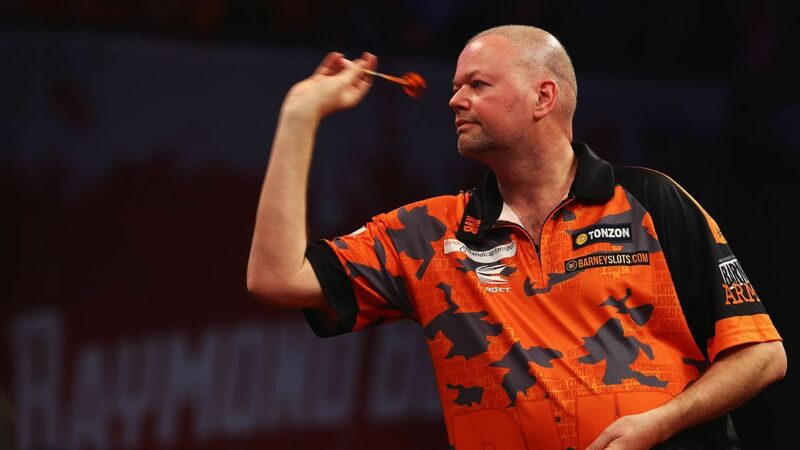 Dutchman Raymond van Barneveld had announced his retirement from darts, but now says he wants to end his career at the World Championships. World No. 1 Michael van Gerwen became a three-time PDC world champion with a convincing 7-3 victory over Michael Smith in Sunday's final in London. Five-time world champion Eric Bristow has died at age 60 after suffering a heart attack, the Professional Darts Corporation has announced. Walk-on girls will no longer be used by the Professional Darts Corporation. The retiring Phil Taylor was denied a swansong goodbye as little-known Rob Cross produced a stunning performance to claim a maiden PDC World Darts Championship title. Phil Taylor held off a spirited fightback from Gary Anderson to move closer to a dream PDC World Darts Championship final against defending champion Michael van Gerwen. Jamie Lewis produced a stunning display to knock second seed Peter Wright out of the William Hill World Championship. John Henderson stunned world No. 4 Daryl Gurney as he knocked him out of the PDC World Championship with a 4-2 victory at Alexandra Palace. World No. 1 and defending champion Michael van Gerwen was in scintillating form as he joined Gary Anderson in the third round of the PDC World Championship. Justin Pipe has denied trying to put his opponent off by coughing on stage at the PDC World Championship. Two-time winner Gary Anderson swept into the second round of the World Championships but fellow seed Jelle Klassen fell at the first hurdle. Defending champion Michael van Gerwen eased into the second round of the World Championship with a 3-0 victory over fellow Dutchman Christian Kist. Sixteen-time world darts champion Phil Taylor has teased MMA star Conor McGregor following his defeat to Floyd Mayweather. Sixteen-time world champion Phil Taylor has claimed the inaugural Melbourne Darts Masters after defeating Peter Wright in a scrappy final at Hisense Arena. Darts may be unlikely to ever crack your top 10 favourite sport list, but as atmosphere and entertainment factor goes it wouldn't be far off the top -- Jake Michaels writes. Liverpool has ranked as the UK's Greatest Sporting City for 2017, according to research from ESPN and the University of Bath. Phil Taylor had some harsh words for world champion Michael van Gerwen after their World Matchplay quarterfinal in Blackpool. SVP and Stanford Steve recap the magnificence and drama that is the Premier League Darts final with Michael Van Gerwen beating Peter "Snakebite" Wright to win his third title.